Shady picnic spots and braai facilities. 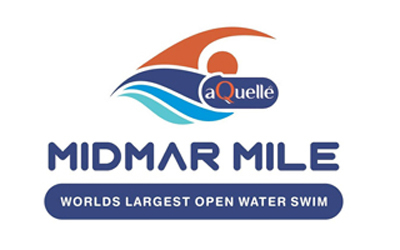 Midmar offers a wide variety of activities including game viewing, water sports, angling and cycling. 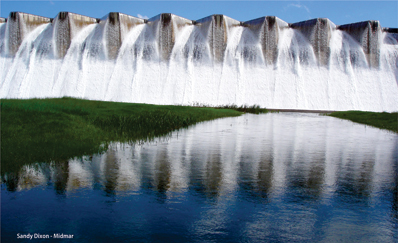 Sailing, power boating, kite boarding and jet skiing on different sections of the dam. Midmar Boat Hire has a whole range of craft from power to sail and bicycles for hire. Viewing platform overlooking the Howick Falls. 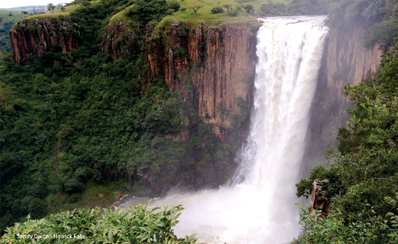 Howick Falls is 95m high and the cliffs are dolorite. 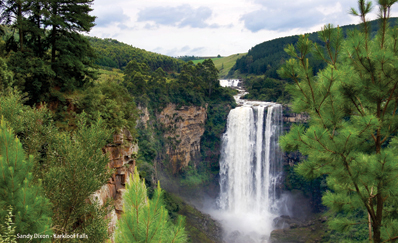 The Karkloof River rises in the range and drops down through thickly wooded forests creating many small waterfalls. The sculpture was created by Marco Cianfanelli and is constructed of steel beams of between 6.5 and 9.5 metres (21.3 and 31.2 feet) in length. View the exhibition which takes you through the life of Nelson Mandela and his heroic role in the struggle against Apartheid and establishing a democratic South Africa. 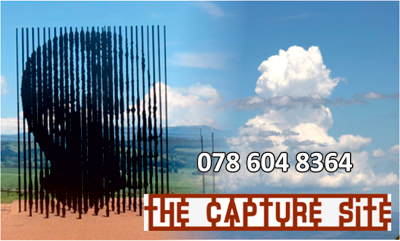 All finish at The Nelson Mandela Capture Site, Howick.